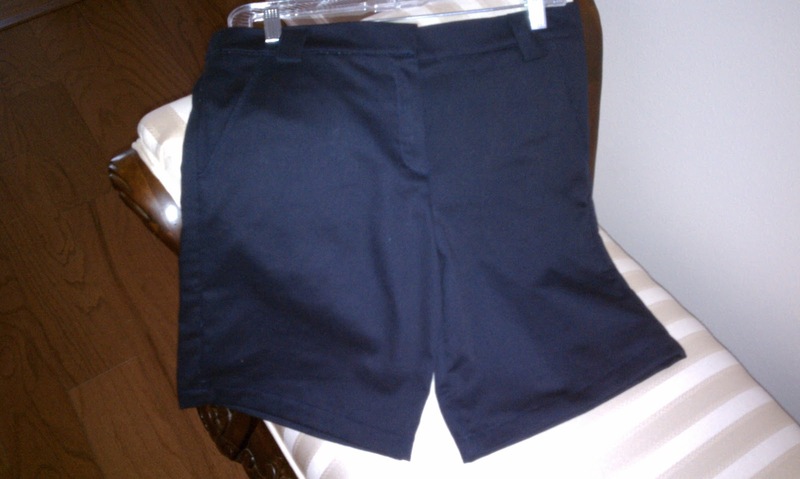 McCall's M5391 - Classic Twill Shorts - Day 4 | Jenny. Maker. 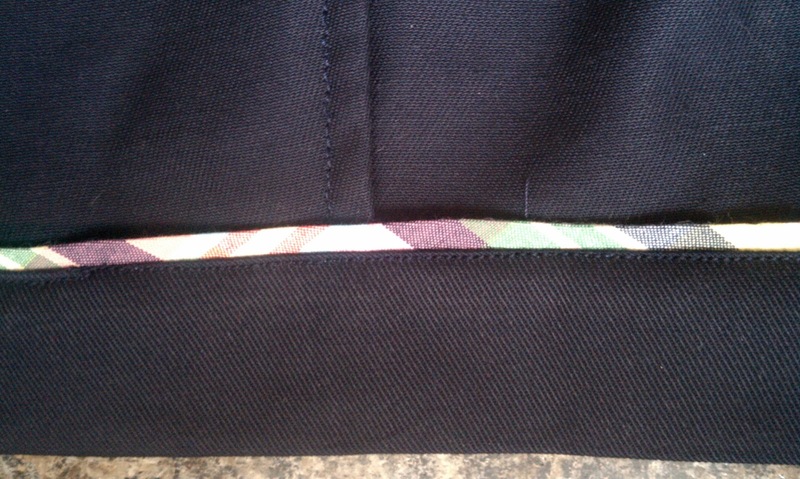 Now that I had a personal touch to add to my shorts, I was reenergized. I started today on the waistband. Press, trim, set aside. I love when I can start with something easy. 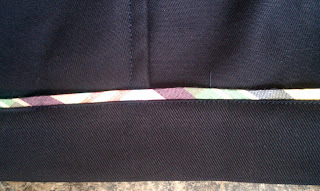 Next, the carrier (belt loops). You start these by sewing all four as one long strip. Turning them right-side out proved difficult for a brief moment. Until I remembered the trick I used on the Seersucker Dress straps. Just sew up one end and push that end through the tube using a bamboo skewer. 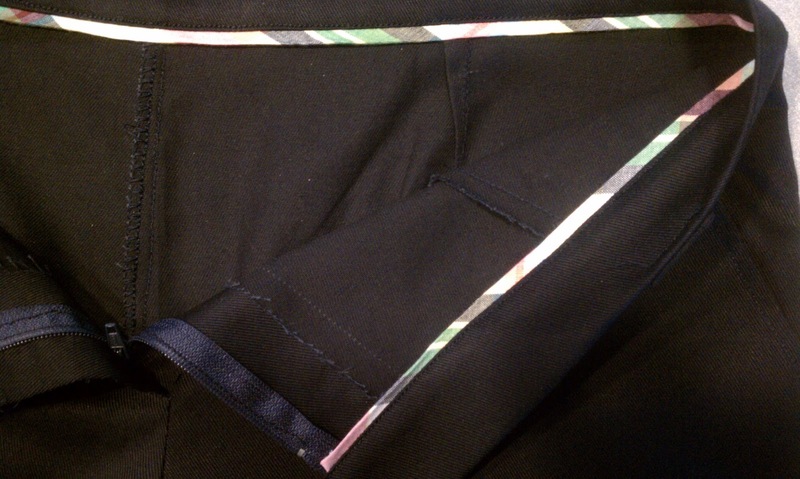 After pinning the carriers, I began pinning the waistband. However, something, I had no idea what, had happened to that piece and it was now inches shorter than it should be! I checked the body pieces and they matched the patterns so I checked the waistband and it was an inch shorter than the pattern piece! How could that have happened? So, I cut another waistband (luckily, I buy what the pattern says, so I always have scraps), refaced it, and proceeded with the instructions. To dress up the interior and give the shorts that personal touch I mentioned, I opted to use a topstitch instead of a slipstitch, sandwiching a strip of yesterday's bias tape. Finishing the shorts from there was quite easy. They're finally done! Phew!